WASHINGTON (CN) – Two votes on Thursday delivered House Republicans a win they had been plotting for seven years: passing a replacement for the Patient Protection and Affordable Care Act. The 217-213 vote came just one day after the release of a key amendment offered by Rep. Fred Upton that provides an additional $8 billion over five years to help people unable to afford health insurance cover their premiums. Upton had been a prominent holdout on the bill but his addition was a key pick up to free up moderate Republicans to vote in favor. The bill needed 216 yes votes to pass. All 193 Democrats in the House voted no. They were joined by 20 Republicans who dissented. The bill now heads to the Senate, where it figures to face an even tougher fight with a much more narrow Republican advantage. But that didn’t dampen the celebratory mood of Republican lawmakers as they gathered in the White House Rose Garden Friday afternoon with President Donald Trump. The Congressional Budget Office has not yet rated the latest version, though its analysis of the earlier version found that 14 million people would lose their health insurance under the law in 2018. The report also found that premiums would increase by 15 to 20 percent in the near-term. Republicans have for years complained Democrats rushed the Affordable Care Act through the legislative process in 2010 but on Thursday they insisted the fast-track scoring of their bill was enough, even with the amendments tacked on at virtually the last minute. “I think it will make it better because we’re actually putting more money into the plan and we’re giving states more flexibility,” Rep. Raul Labrador, R-Idaho, told reporters Thursday, referring to the amendments. Thursday morning, with just hours to go before the vote, Rep. Peter King, a New York Republican who tentatively supported the bill, said he had not read Upton’s amendment but was planning to go back to his office to do so before the vote. “You have to strike while you can,” King told reporters on Thursday morning, supporting leadership’s decision to hold the vote. Democrats accused Republicans of trying to force the bill through before a CBO report came out so they could shield the legislation from a bad rating. “They’re terrified of the facts of what that CBO report would say,” House Minority Leader Nancy Pelosi told reporters at a press conference Thursday. Even some Republicans in the Senate raised concerns about how the bill moved through the House, a break in the silence that had settled over GOP members of the Senate. “A bill — finalized yesterday, has not be scored, amendments not allowed and 3 hours final debate — should be viewed with caution,” Sen. Lindsey Graham tweeted on Thursday before the vote. It was unclear even in the hours immediately leading up to the vote whether Republicans would be able to keep enough of their own to pass the bill. 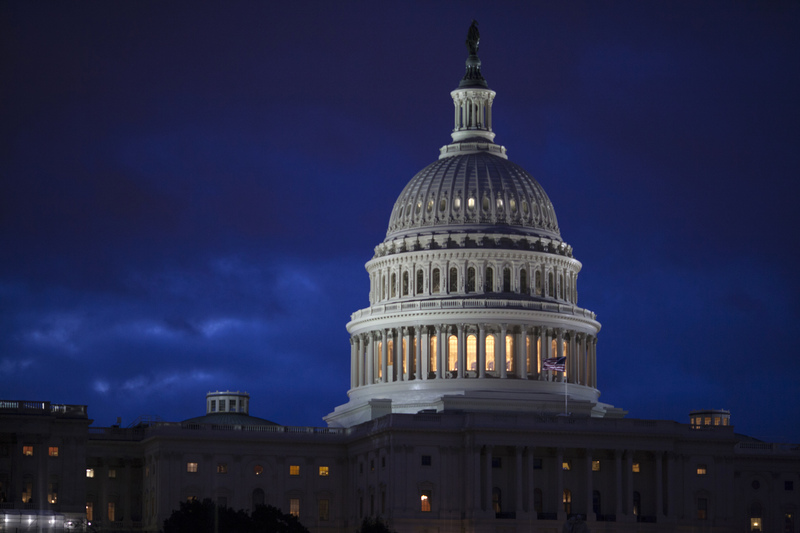 House leaders had to pull a previous iteration of the bill after a poor Congressional Budget Office report made it politically unfeasible for both the conservative wing of the party and its more moderate members. The second amendment that helped revive the bill, sponsored by Rep. Tom MacArthur, allows states to opt out of certain regulations contained in the Affordable Care Act if they show doing so would either reduce premiums, increase enrollment, bring stability to the insurance market or to people with preexisting conditions or increase choice for insurers. If they receive a waiver, states could set their own requirements for what insurers must cover, vary the amount by which insurers can charge older people more than younger people or allow insurers to charge people with preexisting conditions more if they don’t keep continuous coverage so long as the states also offer safety nets for people with higher premiums. This last provision was especially controversial among the bill’s skeptics. Critics argued that even though the amendment explicitly proclaimed it was not meant to impact the coverage of people with preexisting conditions, it would in effect create two categories of premiums, one were people are charged based on how healthy they are and another that pools healthy and sick people together. Critics of the bill, which includes a number of health providers and advocate groups, say healthy people would likely flee to the one that charges people based on health, leaving sick people forced to pay higher premiums. Republicans insist, however, that allowing states to opt out of the Affordable Care Act will give places with fewer health insurance options more flexibility. They also argue it will bring down costs, something the original CBO score agreed would eventually happen, though not until 2020. The bill would repeal Affordable Care Act’s individual mandate, instead replacing it with an option for insurers to hit people who do not keep continuous coverage with a 30 percent surcharge on their premiums. It also rolls back the provision of the Affordable Care Act that allowed 31 states to expand Medicaid . The bill also repeals many of Affordable Care Act ‘s taxes and subsidies and protections that only allow insurers to charge older people three times as more than younger people. Just before passing the full bill the House voted to remove a portion that would have exempted members of Congress and their staffs from the state waiver provisions. “Finally, after years of waiting we have the chance to do something good today,” House Majority Leader Kevin McCarthy said on the floor shortly before the vote to pass the bill. Members hotly debated the bill on the House floor before the vote, with Speaker of the House Paul Ryan and Pelosi closing out the debate with impassioned speeches that ended in standing ovations from their respective caucuses. Republicans cheered as the vote counter in the House chamber ticked to 216, signifying the bill’s passage. Democrats then responded by singing the famous chorus from Steam’s 1969 hit “Na Na Hey Hey Kiss Him Goodbye,” a nod to the disastrous electoral consequences Democrats have predicted would befall Republicans if they passed the bill. “Na na na na, hey hey hey, goodbye,” Democrats sang while waiving to their colleagues across the aisle.